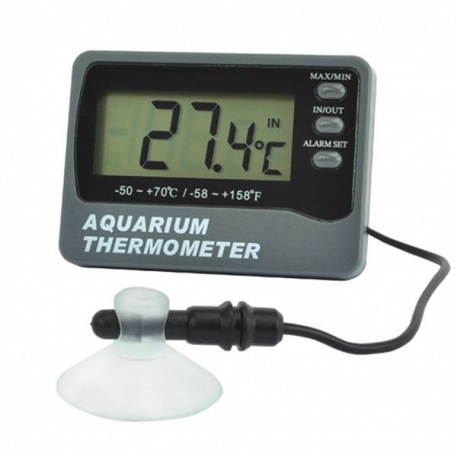 This aquarium thermometer sits outside the fish tank whilst the remote waterproof probe is placed inside the tank, indicating temperature over the range of -50 to 70°C. 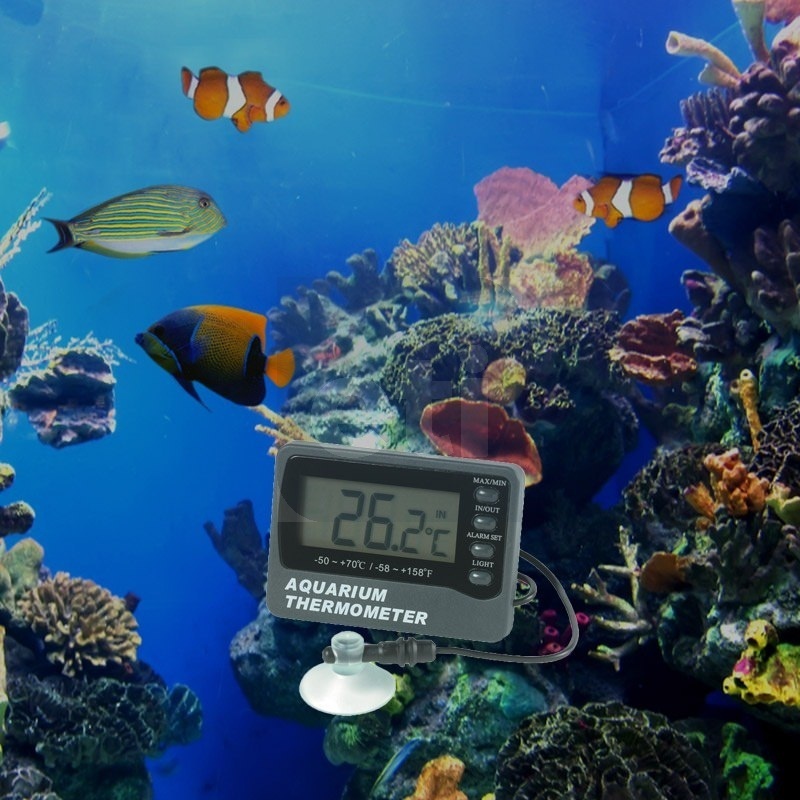 The dual sensor aquarium thermometer can also indicate the room temperature. 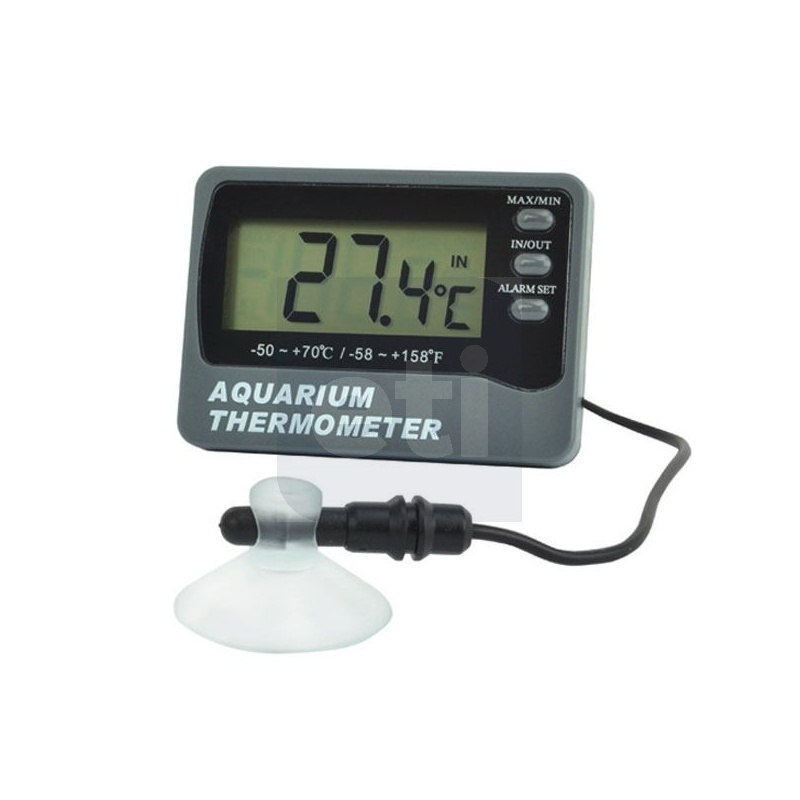 The aquarium thermometer incorporates a backlight, a max/min memory function and a Ø4 x 20mm probe with a one metre lead. The thermometer is powered by a single AAA battery and the dimensions are 15 x 52 x 73mm.